Watch Teaser: Akshay's Kesari first glimpse enthrall fans. For their fans, Akshay Kumar and Parneeti Chopra have come up with the good news of their togetherness on screen. The news came out in media when Akshay Kumar took the social media to release the teaser of their war drama “Kesari” Part 1. 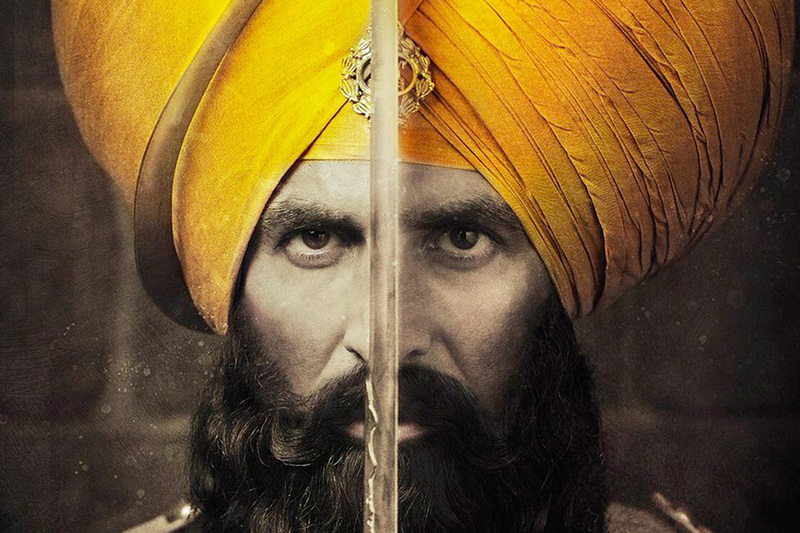 Akshay can be seen in full Sikh Avatar standing tough against the opponents in the poster. Based on real facts this drama was inspired by the historic battle of Saragarhi fought by the 21 Sikhs present in the British army against the Afghans in 1897. With a small number of soldiers, this battle is counted one of the bravest battles fought ever in the chapters of history. Disclosing the date of release on his twitter account, Akhshay while sharing the the 25 second long video link of the Akhshay tweeted: “This is the bravest battle ever fought! Presenting the second one from the #GlimpsesOfKesari. #KesariTrailer21Feb. Made at the cost of 60 crores, motivated by Anurag Singh, Kesari narrates the tale of Havildar Ishar Singh who participates in the Battle of Saragarhi, a war fought between an army of 21 Sikhs and 10,000 Afghans in 1897, while yearning for the respect of his estranged daughter. Fans have admired the drama and many have expressed their excitement about the film. The makers of the film also revealed that the trailer will be released on 21 February. Before releasing the trailer, the makers dropped a few glimpses of the film. The first scene has an army of soldiers running around and gathering around a fort. And as the sound of the drums sharpens, we see Akshay Kumar emerging with a sword in his hand. The film starring Parineeti Chopra opposite Akshay Kumar will be produced by Dharma Productions, Cape of Good Films and Reliance Entertainment. It is scheduled to release on 21 March 2019.